If I Have A Felony, Can I Still Apply? Yes, there is a vast majority of companies that offer job opportunities to felons. Be sure to list any felony convictions on your application. What Are Endorsements On A CDL? Endorsements are additional tests a driver must pass in order to operate special types of commercial vehicles. Some endorsements require passing only a written test, while other endorsements require both a written and skills test to pass. A few examples are school buses, hazmat, doubles, triples and tanker endorsements. Do I Have To Have A Drivers License To Become A Truck Driver Or To Obtain A CDL? 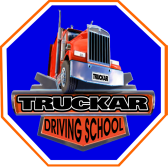 Yes, you must hold a valid U.S. drivers license prior to attending the CDL training course. In the event that you do not have a Class D license, we will be more than happy to assist you in obtaining one.